A new juice store recently opened up earlier this month and I’ve passed by several times wanting to try it but never have till now! 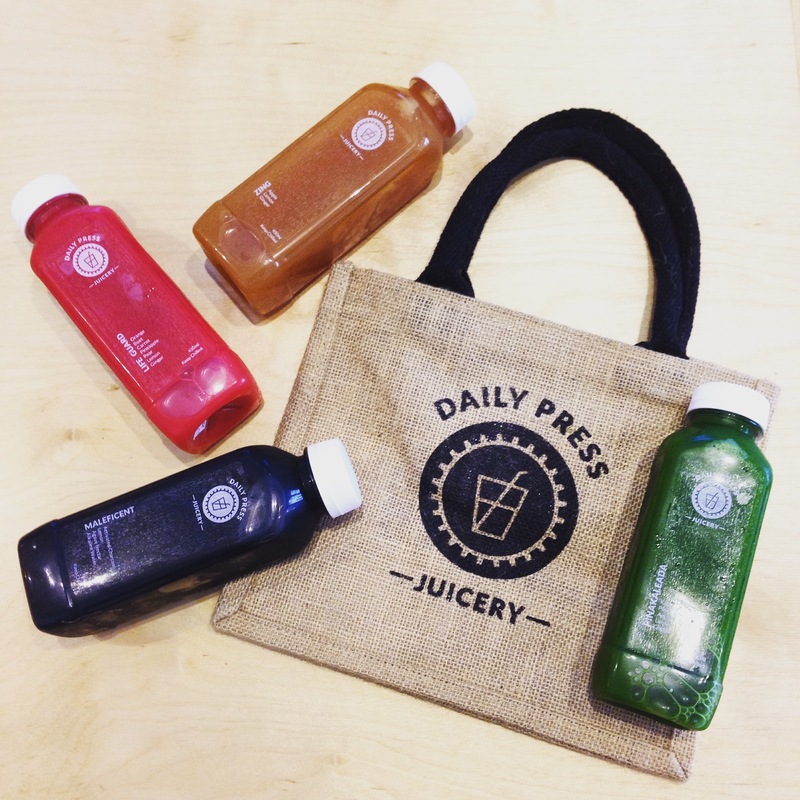 Daily Press Juicery is located on Queen Street West, and has a nice store front with finishes inside. It’s clean and sleek with tons of sunlight flowing through the front window. From their official website, you can view all their available juices and milk. In their store, there is a large refrigerator stocking up on their juices and milk, and there is also a smaller storage are next to it storing a few juices for you to sample. I was in a rush that day, so I already had my mind set on 2-3 different juices to try but being able to taste 2 of them helped me make up my mind. 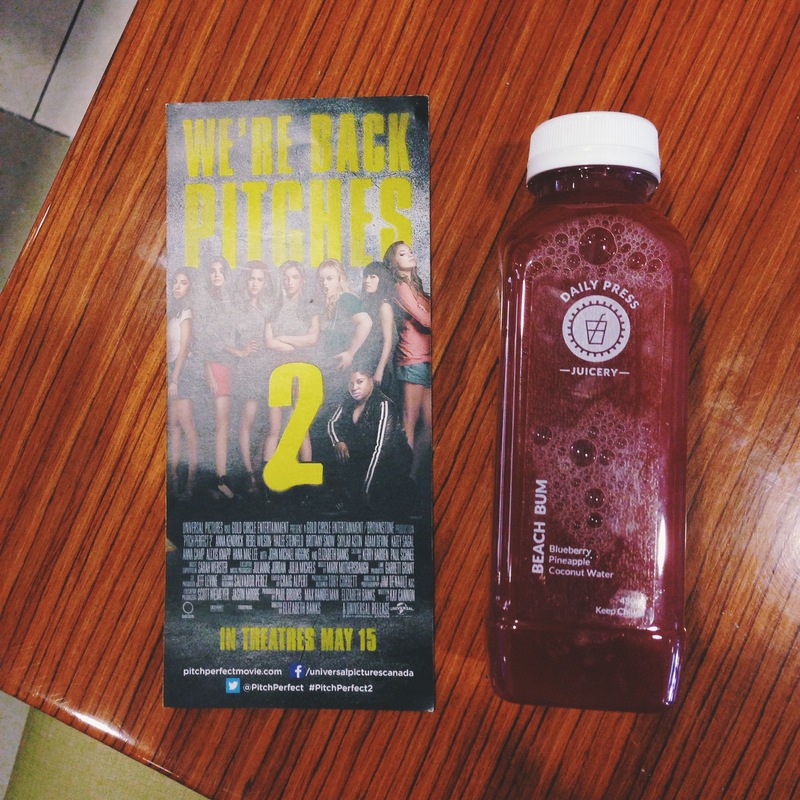 The juices I was debating on was the activated charcoal, and the beach bum as well as the matcha milk. I wasn’t sure how activated charcoal tasted like, but upon testing a cup it had a bit of a sour taste to it but was refreshing. Unfortunately they don’t have the milk options available for testing, but I was able to obtain an understanding that it was essentially like almond milk but with a subtle taste of matcha. I also tried the beach bum as the ingredients seemed to be something I’d enjoy, and after tasting a cup I was definitely hooked. I instantly knew that was the drink I wanted when I had my first sip. Beach bum consists of blueberry, pineapple and coconut water. The lady at the store told me they didn’t use the packaged coconut water, but instead took it from actual coconuts. It gave off a very refreshing taste, and had a hint of natural sweetness that lingered around making you want more. I ended up purchasing a 500ml bottle of Beach Bum that day since I was not in the mood to carry a few bottles again all the way home. Reason: The juices were delicious from the two I tried so far, and there was great and helpful customer service. I’ll definitely be going back shortly to try a few more juices and purchase a few to drink as well, especially when it’s getting hotter in Toronto. I most wanted to purchase the Beach Bum again but they were already sold out. Thy were also sold out in a few different flavours such as the matcha milk and pink milk that I would have loved to try as well. I chose Maleficent this time since I was able to test it during my last visit and enjoyed the bit of sour taste especially when it’s hot outside. Pinakleada contains ginger in it which is one of the ingredients I typically try to avoid in juices but it gives the right amount of kick!